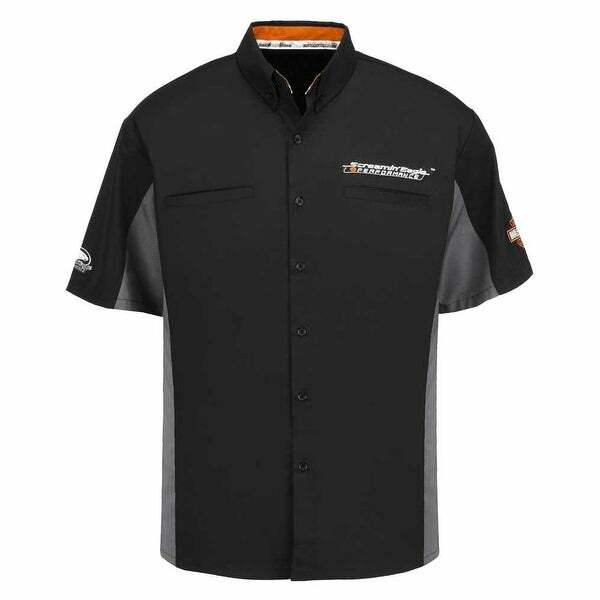 Harley-Davidson Screamin' Eagle Men's Competitor Crew Woven Shirt, HARLMW0061. Soft and comfortable, made from a cotton and polyester blend. Features classic Screamin' Eagle embroidered graphics on left chest pocket, sleeves and full back embroidery and applique. Embroidered famous Bar & Shield logo on sleeve. Two convenient chest pockets. Full button front. This woven shirt will never go out of style! Great shirt. Just not his style.